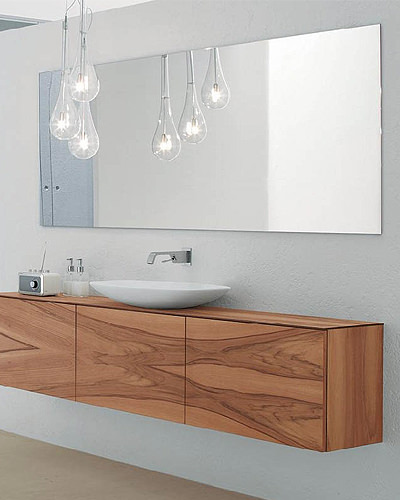 Create a perfect harmony of light and space in your bathroom by adding decorative mirrors. 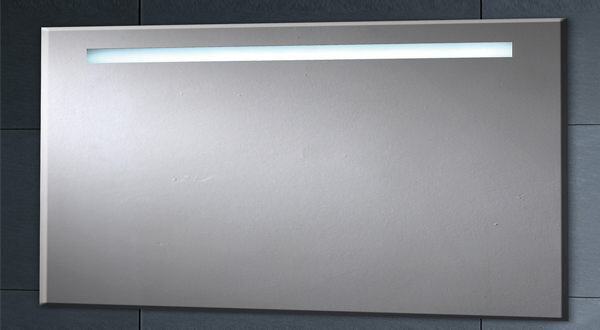 At Aqva Bathrooms, we feature decorative bathroom mirrors from different suppliers in our catalogue. Each mirror that is showcased on our online web store is different from others, and thus, presents you with a wealth of choices from which to select the one that is just right for your bathroom. 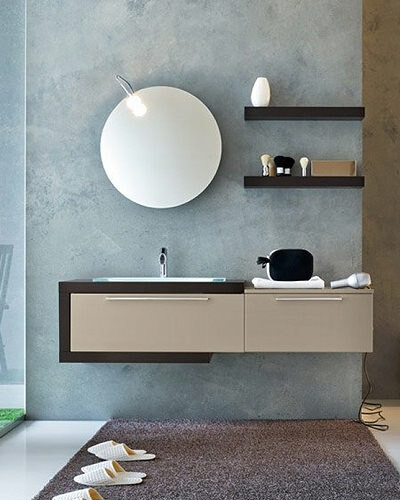 Decorative mirrors help to enhance the aesthetics of the bathroom interiors, but they are not meant to be ornamental only, they are very practical pieces that are there to assist you in your personal grooming efforts. Buying a mirror might seem like an easy purchase…how hard can that be? After all, it’s just a mirror, right? But that’s clearly that’s not the case. You will be viewing yourself in ‘the’ mirror day in and day out, so it had better be up-to-the-mark. Anything less would only make you want to get yourself a new one and in turn, incur additional expense. Thus, there are several factors that you need to take into account before buying a mirror that will help you make an informed decision. Obviously, the mirror needs to fit the wall space you have, so it would be advisable to have the right measurements with you before setting out to make your purchase. Bathroom mirrors tend to be square or rectangular, though other shapes such as oval and round are available, they are limited. The interior design theme is one more thing to consider when buying a mirror. 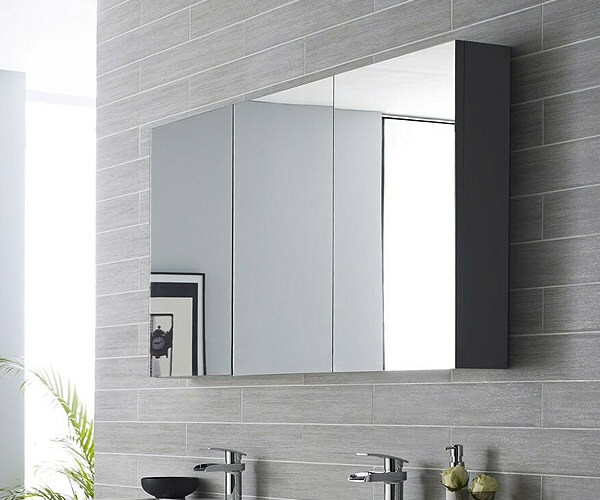 If the mirror you purchase is incongruent with other elements in your bathroom, it is going to look out of place. 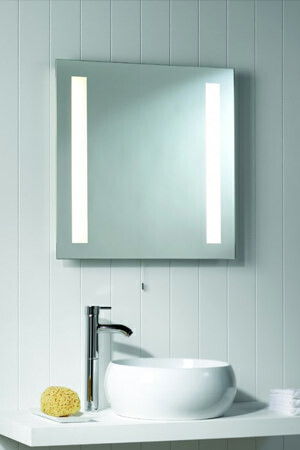 So make sure you buy a mirror that blends in effortlessly and seamlessly with other bathroom furniture. 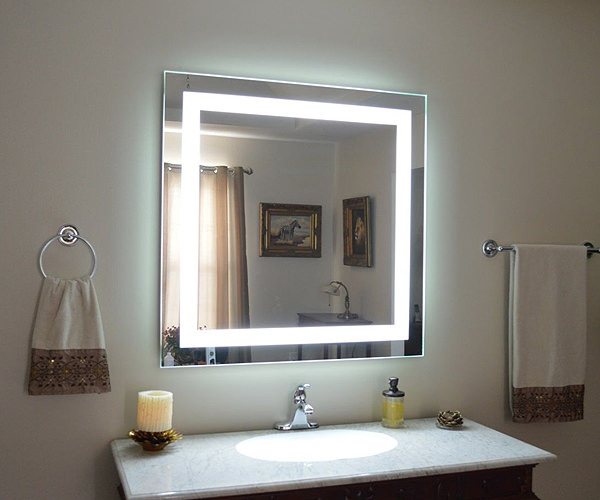 Depending on how well lit your bathroom is and where the mirror will be hung, one might want to think about getting an illuminated mirror. 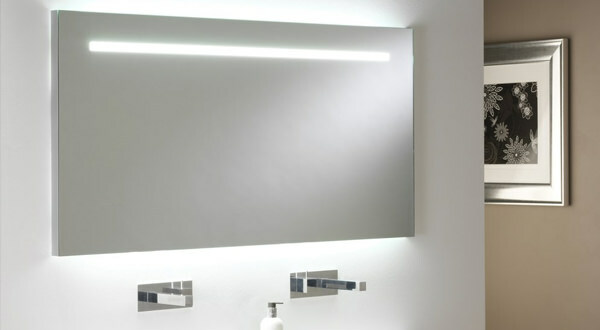 Because bathroom mirrors are traditionally used for shaving and putting on make-up, good lighting is essential. 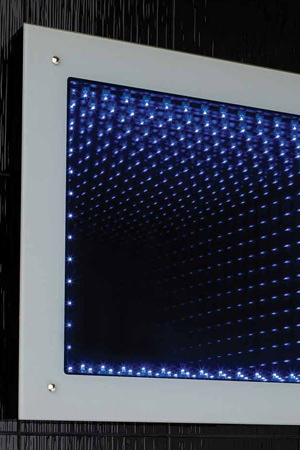 There are a variety of illuminated mirrors available, and LED mirrors are a good, economical choice. 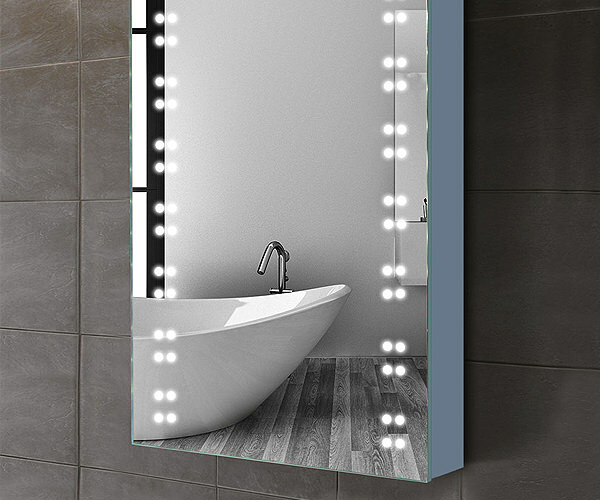 LED lit mirrors offer good visual lighting and besides being low energy, they have bulbs that are long-lasting too. LED lights are slow-burning and last longer than ordinary lights while offering the same amount of illumination if not more, leading to considerable cost and energy saving. Bathroom mirrors are obviously used in the bathroom, which can get steamy. The heat emitted from showers and baths cause bathroom mirrors to fog over, so they require to be constantly cleaned. However, there are several options in anti-fog mirrors that obviate the need for this incessant wiping and cleaning. 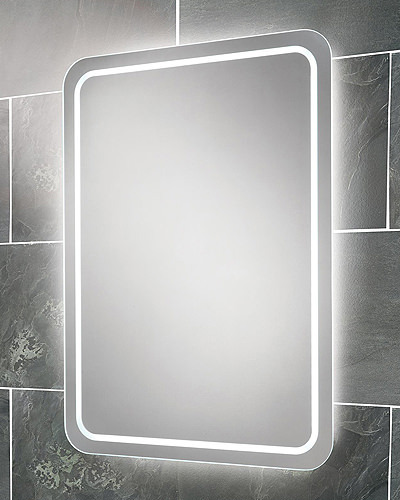 These mirrors are fitted with demister pads that quickly disperse surface condensation, even after the steamiest of showers, so your view in the mirror always remains clear. Anti-fog mirrors are therefore a good option for those who prefer the convenience it affords them. But this convenience comes to you at a cost. Thus anti-fog mirrors are more expensive than others, though wholly deserving of the money you spend on them. Using a bathroom mirror for putting on make-up or shaving, for example, can mean that it is a nice idea to have extra magnification in the mirror so you can see yourself better. 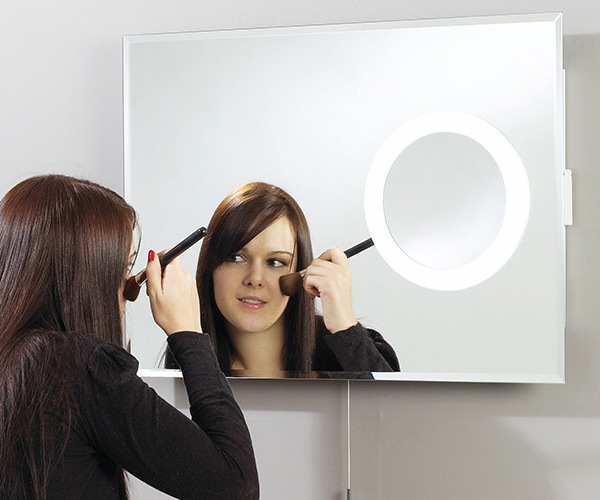 This is done by adding a small panel to a larger mirror, so you do not have to strain your eyes or wear glasses while you shave or apply cosmetics. These mirrors give you a chance to inspect yourself closely so that any personal care activity or an act of grooming that requires precision and enhanced viewing can be undertaken easily and without so much as a fuss.